I love UI design and because of that, I hate when popular services have bad UI on their sites (*cough* YouTube). 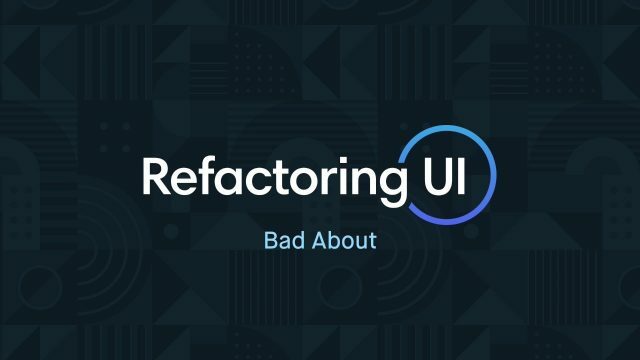 Steve Schoger is a Canadian designer and in this episode of Refactoring UI, he redesigned topic page for a website called Bad About. The original design is cramped and clunky but when Steve finishes, you’ll see how much better it looks with a number of small changes.